on their schedule of services. On Sunday, June 26, 2011 Adath Jeshurun Congregation in Minnetonka officially welcomed the members of Bnai Emet Synagogue in St. Louis Park to their congregation. After a long and rich history, Bnai Emet closed its doors effective Friday, July 1, 2011 and joined Adath Jeshurun Congregation. Bnai Emet Synagogue was formed in 1971 through a merger between Congregation B�nai Abraham and Congregation Mikro-Tifereth, itself a merger of Mikro Kodesh Synagogue and Tifereth B�nai Jacob Synagogue. 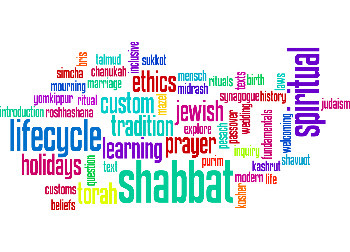 Click here to read a history of Bnai Emet Synagogue and view their web site to see all that this active and vibrant community offered its congregants. To the members of Bnai Emet Synagogue, we offer our sincere sympathy in the loss of your spiritual home and we hope you will find a warm and welcoming new home in Adath Jeshurun Congregation.